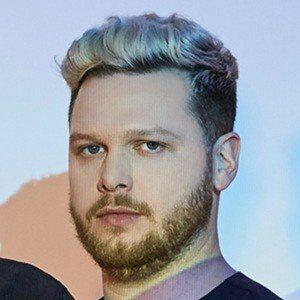 Guitarist and lead vocalist for the award-winning indie rock band alt-J. The group's album This Is All Yours was a Grammy nominated in the category of Best Alternative Music Album. He has said that he attended art school with the intention of starting a band. He showed to-be alt-J guitarist and bassist Gwil Sainsbury some of his own songs while they were both in the 2nd year at Leeds University. They then began recording on GarageBand. His band alt-J was originally called Daljit Dhaliwal, named after a British TV presenter of the same name. They were then called Films before discovering another band called The Films. He and the band originated out of Leeds, England. His band alt-J wrote a song exclusively for the David O. Russell-directed film Silver Linings Playbook.